YOUR INTENSIVE CARE HOTLINE - My Uncle in the ICU is in a Critical Condition. Why Does the ICU Team Opt for Euthanasia? My Husband In The ICU Is Doing Better? 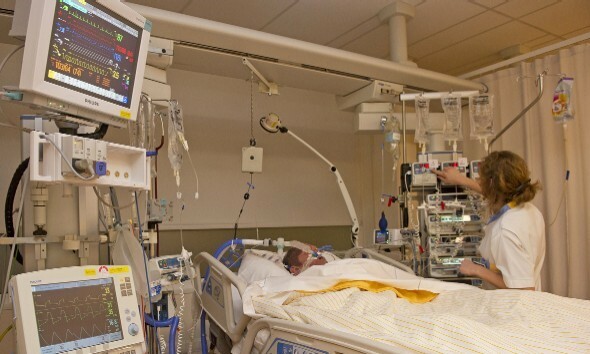 Why does the ICU team push towards Withdrawal of Treatment? In this week’s episode of “YOUR QUESTIONS ANSWERED“ I want to answer questions from one of my clients George as part of my 1:1 consulting and advocacy service! George’s uncle had a cardiac arrest, rushed to the hospital, had seizure, went into coma, becomes ventilated and is asking why the ICU team is opting for euthanasia. Patrik: Hi, is that George? George: Yes. Hi, Patrik, how are you? Patrik: Is this a good time to call? George: Yeah, that’s fine. I came out from the hospital for a little bit. The doctor here and I already talked to all the family members. I already know their input, but I just wanted to get input from you and see what you think about it. I mean, you know pretty much. We had a cardiac arrest on May 31st. And paramedics could not get there on the site. It was about 10 minutes in the past, and there was the CPR, nothing was even … until they arrived. And then they defibrillate the heart somehow and they were able to get a pulse. And on the way back to the hospital they got a pulse. So, it was over 15 minutes that his heart was stopped. He had a heart attack and a cardiac arrest. Plus, that would be a stroke too. And MRI and everything, what the neurologist is telling us that the top portion of his brain is not responding at all. There’s no electrical activity, but on the left brain is working. So, he may open his eye and close it. Patrik: I’ve seen that in your video. George: But, so far … I’m sorry, yeah, so far, he has only done one for briefly about 15 to 20 seconds. That’s about it. After that, there is no sign. Today, I think they did EEG and we haven’t got the report yet but they say that he was having a seizure today. Patrik: He was having a seizure? Patrik: Right. Okay. For the first time? George: Well, I think this is the second or third time. Before, he had some physical activities more than other … I don’t know, I mean, at some point he was admitted. He had some seizures. Because, they told him, “Well, from the patient side, we told them to take him off of the sedation, the sedative medication. Just give him only the painkiller.” And whenever they do that, he’s having a kind of seizure thing, so they have to put him back on the sedation. George: So now, we had a meeting with the neurologist yesterday and what he told us that, “Okay, it’s your decision, if you want to keep him, that’s fine, but on Friday this is what we’re gonna have to do. You’re gonna have to either tell them that they can go ahead and proceed, they can put the tube in the hammock, one for the breathing, and one for the … I don’t know what they call in American term. George: Yeah. I think that’s what they call it. So that’s what they’re going to. They can do it but after that, they don’t know, nobody knows when he’s going to wake up. And even if he’s going to wake up, what condition he’s going to be in. And how much recovery he’s going to have. The chances the doctors are basing 10%, what we used to do before would be only 10% of his life. Or maybe less because there is a tremendous amount of less of oxygen during the cardiac arrest. It was about over 15 to 20 minutes that he didn’t get oxygen in the brain. Everything else in the body is working properly, but the brain is not. So that’s where we are at. We don’t … this is like a critical decision that we could get involved with medication and everything. And just let him … arrest in at peace. Or else, put the tube in or make him suffer. Patrik: Do you think that he’s suffering at the moment? Is that your impression? George: I think he’s suffering at this point too because almost every day my uncle and what told they me that his … his body is kind of shaking. Patrik: Okay, so here is what I can see George from everything that you’ve described to me. The MRI report actually doesn’t look too bad. There is talk about an ischaemic infarct and that’s probably the reason, or is the result of no oxygen to the brain for a period of time. Now, from experience George, if somebody’s having seizures after a cardiac arrest, it’s often a sign that there is brain damage. And you’ve described this very well in regards to the taking off the sedation and then he starts having a seizure, right? And that is not a good sign. But, but here is what’s important to know George. They might take the breathing … Okay, let’s look at the two situations that have been given to you and your family as options. Let’s talk about both of them. So, the first one is to take out the breathing tube and let nature take it’s course and your uncle may or may not pass away. Just because he’s sick at the moment doesn’t mean that when they take out the breathing tube and potentially let him die, doesn’t mean he is going to die. Patrik: They could “make him die” by giving him more pain medication and by giving him more sedatives when they take him off the breathing tube, but that is almost … from my perspective often bordering on euthanasia. Does that make sense? George: I’m sorry, could you repeat that? I think I’m hearing your words but you are standing with a background. Patrik: I’m probably … sorry, I’m probably in a room where there’s echo. Just give me a second, I’ll just change the room. Just give me a second. Because I’m probably in a room where there’s echoing, I’m sorry. Patrik: Right, there’s less echo. So, the first situation is that they take out the breathing tube with an outcome that you’re uncle might pass away, but that may or may not occur. Just because he’s on the ventilator doesn’t mean he can’t breathe, by himself. So, then the question is if he can breathe by himself when the ventilator is taken off, then the question arises is he suffering, what’s his quality of life going to be. Or if he’s not passing away would they help him passing away by giving morphine or other sedatives, right? And that can help … that can assist patients dying. But that can be bordering as euthanasia. Have you heard of the term euthanasia? Patrik: Right. Okay, so euthanasia basically means assisted dying. That you are helping somebody to die. And you can do that in intensive care with patients, but there is often a legal question around that, too. Euthanasia is not legal in most countries. Patrik: Yes, I’ll send it to you now, while we keep talking. So, I think you and your family really need to be clear about the euthanasia thing. Because I think that’s very important. Most people haven’t heard about the term and I think it’s really important. But in … you understand what I mean in theory. Once your uncle comes off the ventilator he may not necessarily pass away. George: Yes, I totally understand. Sometime one patient … maybe sometimes a week or two weeks, you don’t know. Patrik: Correct. So, let’s look at the second solution. The second solution is the tracheostomy. The tracheostomy is basically a breathing tube in the neck. Okay? And I will send you some information in regards to tracheostomy when we come off this call. Basically, a tracheostomy is a breathing tube in the neck. And a feeding tube is called a PEG tube, P-E-G. That’s a PEG tube for feeding, that goes into the tummy, okay? Now, with a tracheostomy and a feeding tube, people can be kept alive for a very long time. Because if they can’t breathe it does the breathing for them with a machine. And if they can’t eat, they get nutrition through the tube. What it also does George, is it does buy people time. If there’s any chance of recovery for your uncle to get any quality of life, that would be acceptable for you and your family, but also for him, then the tracheostomy and the PEG can do that, because it buys people time. George: But in this instance, after you heard me what has occurred, and what has happened, what do you think? What kind of recovery are we looking at? George: You know, before this thing happened on May 31st, he was 100% what he was doing. Now, after this treatment with the breathing tube, and they say after one year he’s going to wake up or six months he’s going to wake up. Then what condition he’s going to be? Patrik: I can tell you from experience that most patients with head injuries, and your uncle in essence had a brain injury. After the cardiac arrest, it caused a brain injury. Okay? So, most patients with brain injury, if they need anything it’s time. Oftentimes its time is the best healer. What’s also important in order for this is that … and I have seen in the scans that you sent through, your uncle is very young, he’s like close to 50. Patrik: He’s a very young guy. So, it’s also an issue of … let’s just say your uncle recovers to 50% of what he was like before the cardiac arrest. And I’m just making this up, I don’t know whether that’s the case or not. But I’m just saying this so that I can give you an example. Let’s just say he gets back to 50% of the functionality that he was like before the cardiac arrest. The question then arises is this something that would be acceptable for him and for you as a family? And nobody can make that judgement for you because I’m not … nobody should be judging what quality of life is acceptable for an individual or for a family. Patrik: I can’t … nobody can tell you, or dictate you or your uncle, “Hey, you’re going back to 50% of what you were like before the accident. Is this acceptable for you as quality of life?” I don’t know. This is something you as a family need to be clear on, on what would be acceptable. The other thing that you may have to consider is, let’s just say your uncle gets the tracheostomy and gets the PEG. Would that, for example, allow for your uncle to go home and maybe have palliative care at home? Would that be important for your family? Do you know what I’m referring to there? Patrik: No, okay. So, let’s just say they take out the breathing tube and potentially your uncle might die. Let’s just say that’s what’s going to happen. For example, if your uncle was to have a tracheostomy and PEG tube, he may still die, but you may have him at home for a period of time. If that’s important to you and your family. So, you’ve got to look at what’s important for you. And I’m not saying that this is going to be the case, but it’s important for you and your family to think through, what do we want? Do we want our uncle to have to breathing tube on Friday and then he may pass away over the next week? That may be an option. Or is your family saying, “Hey, maybe we should have him with … maybe we should get him a tracheostomy and a PEG tube, and then take him home and we want to have him die at home.” For some families that’s very important. George: But see, with the PEG and tracheostomy, we’re buying more time, that’s what we are doing. George: The possibility of him coming back to me, is kind of really rare. What do you say? George: What if he’s going to come back, he is not going to be able to maybe speak, or his memory is all gone, and he doesn’t know anybody and what’s going on. Patrik: Absolutely. I can tell you what I can see to make a good assessment of what his functionality is. So, you’re saying that every time they take off sedation that he’s having seizures, right? Patrik: So, the problem is that as long as he’s getting sedation you or the doctors will never be able to see what he can be capable of because it’s always going to be masked by the sedation. Does that make sense? Patrik: As long as he’s on sedation you’ll never see what he’s going to be like in real life, but here is the next thing, George. If your uncle has a tracheostomy, okay? There’s a much higher chance that they can reduce sedation. Here is what’s important to know. With a breathing tube, and I’m glad you sent the video to me, with the breathing tube you can see that it’s not comfortable. Right? Patrik: Most patients when they go from a breathing tube to a tracheostomy, sedation can be stopped immediately because the tracheostomy doesn’t cause any discomfort. Patrik: So, what I’m saying is, if your uncle comes off sedation with the breathing tube, the discomfort might trigger the seizure. So, the goal should be to be comfortable and the tracheostomy will make your uncle more comfortable. There’s no doubt about that. Patrik: And once your uncle is more comfortable, they can minimise the sedation, because of the tracheostomy, and then as a starting point they may only have to manage the seizure. So, there’s a very high chance that once your uncle has the tracheostomy that he … you see more of what he’s capable of. Are you with me? Does that make sense what I’m talking about? George: I’m listening to you. So basically, you’re saying we should go with the tracheostomy and that? Patrik: I’m telling you what to do I’m telling you what the options mean. That’s what I’m telling you. I can’t make the decision for you, but what I am telling you is, what the most likely outcome of those options are going to be. Patrik: So that for … and I just need to repeat that, and I know sometimes it’s difficult to understand because you haven’t seen this before. Let me repeat this again because I think this is really important. Anybody who’s on a breathing tube needs a lot of sedation, because a breathing tube in the throat is very uncomfortable. Okay? So, for anybody having a tracheostomy, going from a breathing tube that’s very uncomfortable to a tracheostomy sedation can almost be stopped within hours. Because the tracheostomy is virtually painless. Patrik: So, therefore there is a very, very high chance that they can minimise the sedation to a bare minimum once your uncle has the tracheostomy. Patrik: And then once the sedation is down to a minimum all they have to manage as a next step is to manage the seizure. And once that’s all managed, you and your family will have a much better idea what your uncle is capable of, how he would wake up, is he going to wake up at all? What’s he showing, how does he show up? Patrik: It’s a very difficult decision but I think from my perspective and again, I can’t make this decision for you, but from my perspective it’s often a question of do you want to stop now or do you want to give your uncle a chance? I do believe that there is still time left down the line, if your uncle wants to die, or your family thinks, hey it’s not working, he’s not doing what he’s supposed to be doing. Once he has those lifelines, the tracheostomy and the feeding tube are basically lifelines. Without them, he can’t live at this stage. George: And let him die on his own, right? Patrik: Then there is a very good chance that he will die on his own. And the reason I’m saying that is if he still has a tracheostomy in six months time, it means that he can’t live without it. Right? Can a tracheostomy be reversed? My Uncle in the ICU Had a Stroke. Will He Be Able to Recover After Two Weeks in the Intensive Care Unit? I Will Transfer my Sister to Another Private ICU. Why Do I Need to be Proactive Just to Get a Bed for Her? The ICU Team Just Wanted to Empty Their Beds and Get Rid of My Dad. Is this Medical Malpractice? My Dad in LTAC Won’t be Discharged Home Because of Yeast Infection. What Causes This Infection?